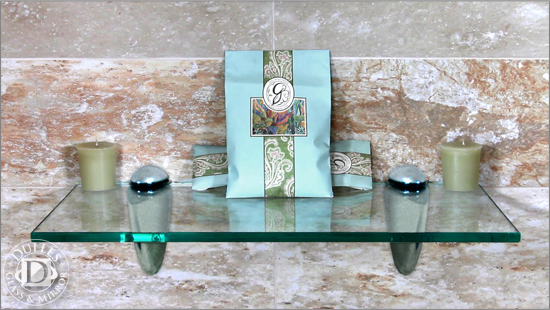 This 6 inch x 18 inch rectangular shelf is an easy and convenient shelving option for the home. The tempered, clear glass shelves are beautifully fabricated with highly polished flat edges. The effortless sophistication of these shelves makes them a perfect accompaniment to any space. Glass shelf hardware brackets are not included. 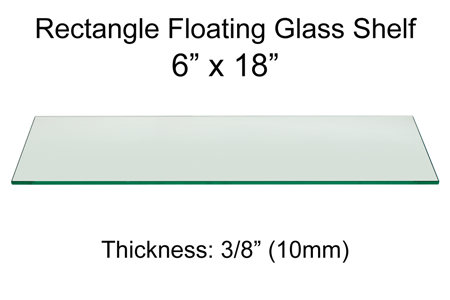 The tempered glass is highly polished on all four edges for an elegant appearance.